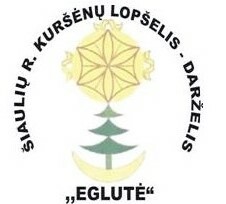 Siauliu r. Kursenu lopselis-darzelis “Eglute” founded in 1966. This is the first pre-school educational institution in Kursenai city with a high degree of organization of the educational experience. It’s a modern, distinctive, changing, open to new experiences and change, secure, democratic, cozy preschool educational institution, providing effective early year pre-school (1,5-5 years in 6 groups), pre-school (6-7 years in 2 groups), integrated special education (2-7 years children with mental retardation, movement, speech and communication and complex developmental disorders – in 2 groups). Organizations’ prior – to load the specialist services: speech therapist, special educator, motion correction teacher, swimming instructor, masseur. Also it cherished cultural values of the nation traditions, echoed the parents’ expectations, the development of active cooperation, promoted a healthy lifestyle. Siauliu r. Kursenu lopselis-darzelis “Eglute” employs 55 staff: 26 teachers, 29 support staff employees. The school for children with special needs “D-r Peter Beron” in the town of Vidin – Bulgaria, is an educational institution established fifty years ago with the aim to provide and develop the national educational policy for children with special needs. During the last years the school management and the whole team have taken an active part in the process of inclusive education for children with special needs in Bulgaria. The school team is putting efforts in the successive implementation of the new educational governmental law which will start during the next school year. The school staff consists of twenty four members with different positions responsible for the educational process – teachers qualified in special education, speech therapeutist, psychologist and child assistants. The school is the only one specialized in that educational sphere in the northwestern part of Bulgaria. 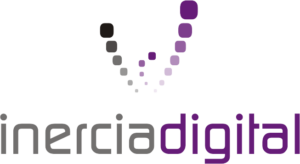 Action Synergy S.A. is an ICT R&D, training and knowledge- based applications organization which is actively involved in the development of education technologies, training methodologies and the development of e-learning training courses. Action Synergy S.A. disposes a long experience in the management and coordination of European Projects since its foundation in 1987 and it is currently coordinating 12 LLP projects. It has considerable experience in working with Roma and other target groups in risk of exclusion. Action Synergy’s S.A. key areas of expertise include: – Development of learning methodologies, Development of educational technologies, Development of e-learning and distance learning courses and modules, dissemination and valorisation of European projects, learning needs analysis, development of professional profiles and lists of skills and competencies, development of synergies at local, national and transnational level. The Institute operates under the N.H.S. and is a centre for the rehabilitation of people with severe mental and/or physical disabilities from childhood to adulthood. 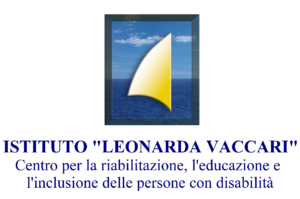 Within our institute is housed a kindergarten and a primary school section that accommodates children with serious disabilities, one of the last special sections within the Italian school system that is inclusive education its main feature. The Institute’s multidisciplinary team provides rehabilitation projects for pupils at the special school. Vaccari Institute provides support to over 300 people who require rehabilitation care within the framework of full-time hospital care, day care or outpatient services. An accomplished team of professionals from the medical, psychological, educational and rehabilitation fields bring a multidisciplinary analysis to every case where each member of the team can give a valuable contribution to the others. The treatment extending to the various aspects of disability can be synthesized in three procedures: medical care, education and integration. SEADDER has been founded to carry out the activities of education, research and consulting to ensure lifelong learning, and to support and collaborate with the individuals and institutions working on these subjects. It is a voluntary and non-profit association. SEADDER consists of members and voluntary personnel, educators, teachers, consultants, special educators for disabled people, doctors, educationists, psychologists, adult educators, ICT specialists, education programmers, vocational trainers, education schedulers, linguists, youth researchers, artists, etc. OUR VISION: “Education from the cradle to the grave” to ensure that people live actively. SEADDER is an association that conducts activity in all fields of education. In other words; youth education, training for people with disabilities, vocational training, adult education and female education are within the scope of our work. Target groups; children, youth, adults, women, families, disabled people, migrants, seniors, etc. To develop a schedule on youth education, adult education, disabled education and vocational training fields, to collaborate with public and private agencies and institutions in home country and abroad on these subjects. To conduct activities to increase the employment, entrepreneurship and innovation of the young people, women and disabled people. Cultural and artistic activities for youth, women and seniors. To organize courses, seminars, conferences and panels, etc. To carry out international activities, to conduct projects with the institutions in home country and abroad, and to cooperate with them.